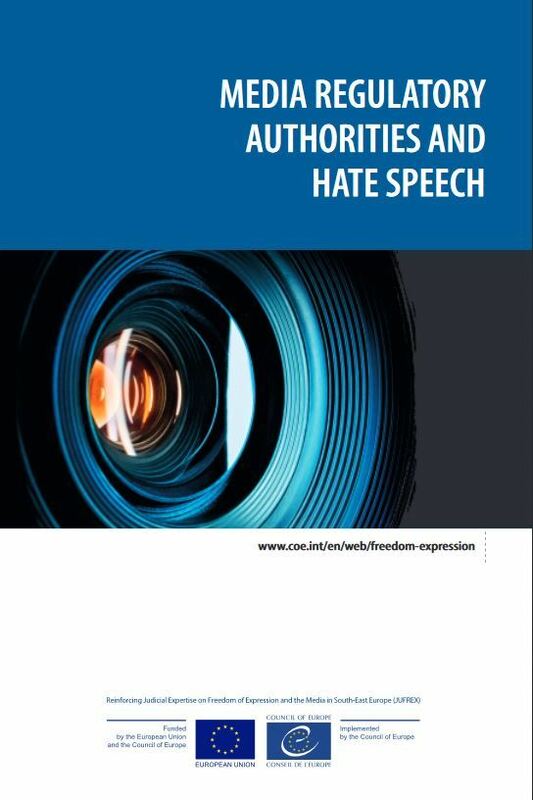 In July 2017, the Media and Internet Division of the Council of Europe, in collaboration with several national regulatory authorities (NRAs) from Southeast Europe, has published a regional study on Media Regulatory Authorities and Hate Speech. The publication examines cases of hate speech throughout the region and concludes by providing recommendations and mechanisms for fighting against and preventing it. It is complemented by overviews of legal frameworks of the covered jurisdictions (Albania, Bosnia and Herzegovina, Croatia, “the former Yugoslav Republic of Macedonia”, Kosovo*, Montenegro and Serbia) and of the relevant case-law of the European Court of Human Rights. Issues pertaining to dealing with extremist content, e.g. incitement to crime and/or hatred, and to the media coverage of crisis situations have been recurrent on the agenda of many regulators within the EPRA network in recent years. An annual working group on such issues was created within the EPRA Work Programme 2016. One of the main deliverables was a comparative background document based on the results of a questionnaire on the “Role of Regulatory Authorities in Times of Crisis”. * All references to Kosovo, whether to the territory, institutions or population, in this text, shall be understood in full compliance with United Nations Security Council Resolution 1244 and without prejudice to the status of Kosovo.